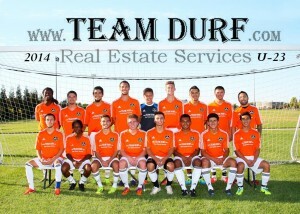 Impact Soccer & Team Durf Unite! Many ask why we love practicing real estate so much? Why we do what we do? Why we have so much passion and work so hard for our clients? The question is simple, not only is real estate fun and exciting, but it gives us a flexible work schedule. Flexibility is everything to us. We have two small boys that LOVE soccer! If our jobs were anything other than helping clients buy and sell real estate, we’d find it very hard to help our boys do what they love. 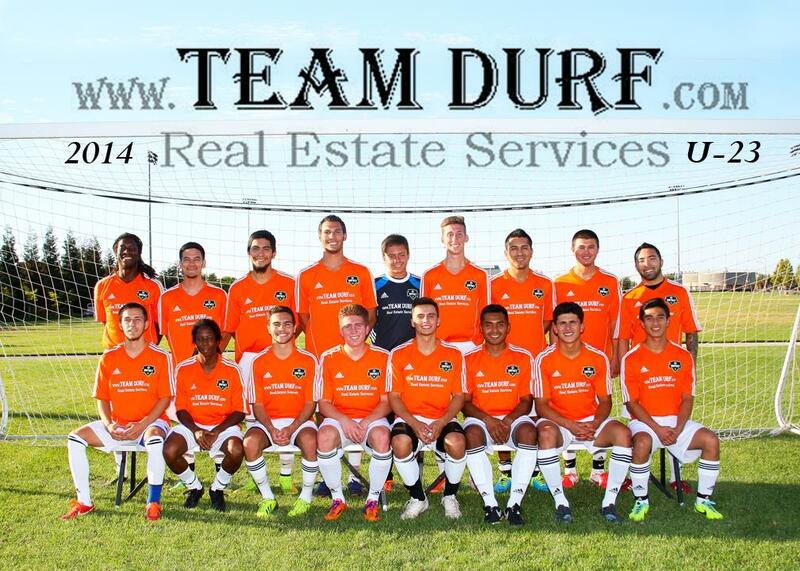 Team Durf is very proud to announce that we have had the opportunity to sponsor a men’s U23 soccer team for our local club, Impact. Coached by local soccer legend Gavin Glinton, this U23 soccer team has started off it’s summer season with an amazing 3-0 record. The U23 team has already beaten some of the best local teams and has their sites on finishing strong. Our boys also play for Impact and it has made them very proud to see our family name tied to such a talented group of young men! If you’re in the area and looking to see some great soccer during this World Cup season, stop by Sunset Park this Sunday at 7 pm and cheer them on! If you’re interested in seeing future dates or a great soccer program for your child, visit www.ImpactSoccer.org. We’d like to give a special thanks to Kim Vrendenburgh of Winning Image (925-759-0345) for making sure we have such great pictures of the team! We hope to see you all there this Sunday and make sure you say hello! Christi & Steve Durflinger, Team Durf Real Estate Services.